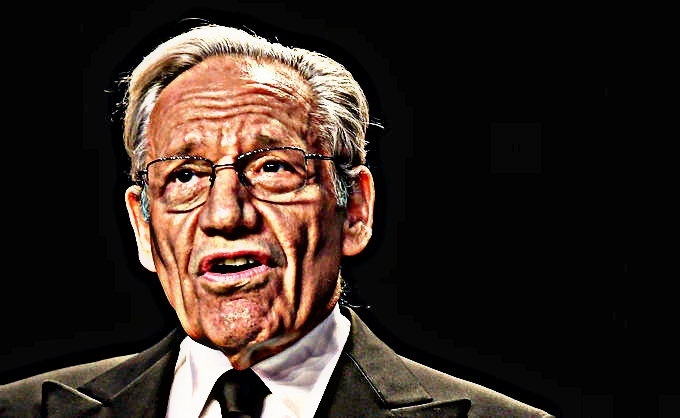 Watergate reporter and journalist Bob Woodward is reported to be putting the final touches on a new book about the inner workings of the DJT administration titled "Fear: Trump in the White House." The new tome is said to be based on hundreds of hours of interviews and insider info, and will detail "the harrowing life inside Donald Trump’s White House, and how the president makes decisions on major foreign and domestic policies." According to a release announcing the upcoming book by publisher Simon & Schuster, Woodward's newest work will "bring to light the explosive debates that drive decision-making in the Oval Office, the Situation Room, Air Force One and the White House residence." “Instead, the author has told friends, he’s gone back to some of the signature moves of his youthful reporting days,” the newspaper, where Woodward is still an associate editor, said Monday. “Late at night, he’s been prone to show up at important people’s houses unannounced to ask for interviews." Woodward's book will be the latest in a series of questionable insider tell-alls about Trump’s tumultuous first months in office following on the heels of the unindicted perjurer James Comey’s "A Higher Loyalty" and journalist author hack writer Michael Wolff’s mostly unsourced flight of fantasy / hit-job "Fire and Fury." Due out in time to make the mid-term election talking-heads prognostication round-table discussions, it's not mentioned whether there is any intentional significance to the planned publication date.......September 11.